Weekend before last, as I’ve briefly mentioned in a couple of other posts, I went to Sonoma County with a group of 9 ladies. 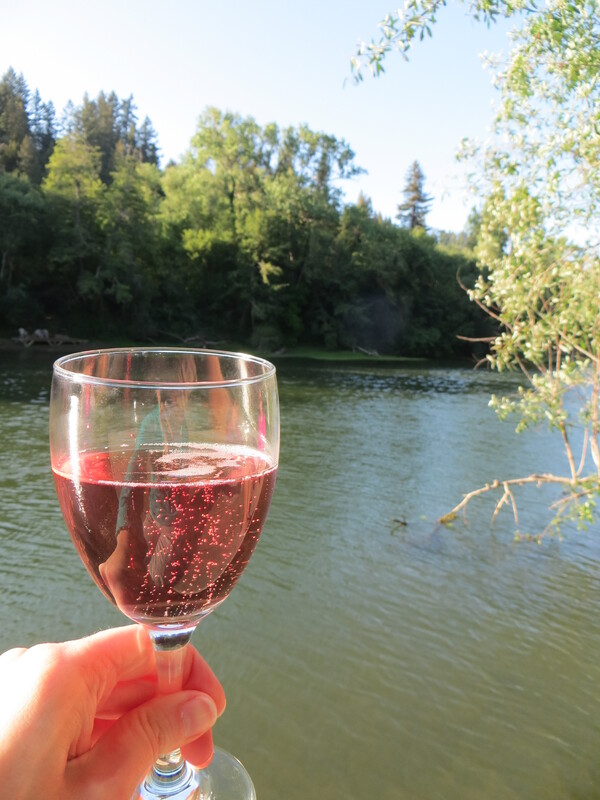 We stayed in a large house on the Russian River in Guerneville. 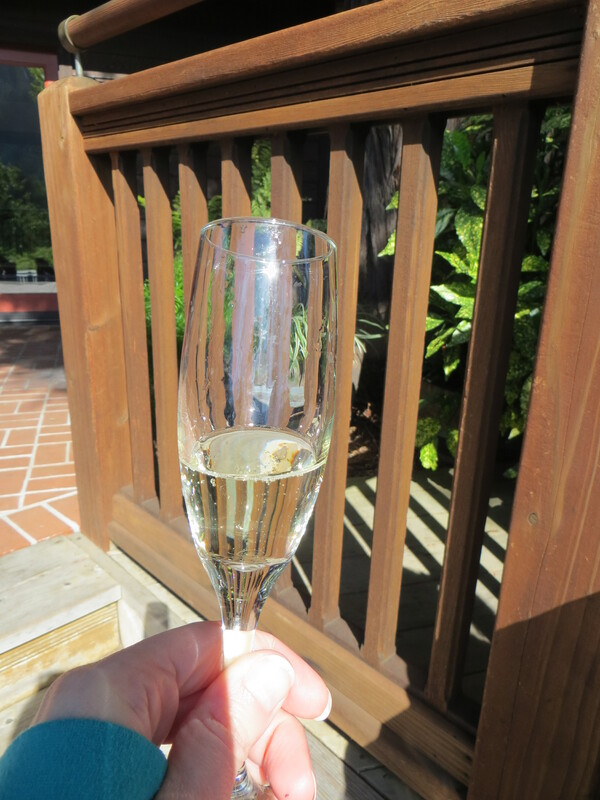 While there a number of us went to Korbel Champagne. We arrived just in time for the last tour of the day. 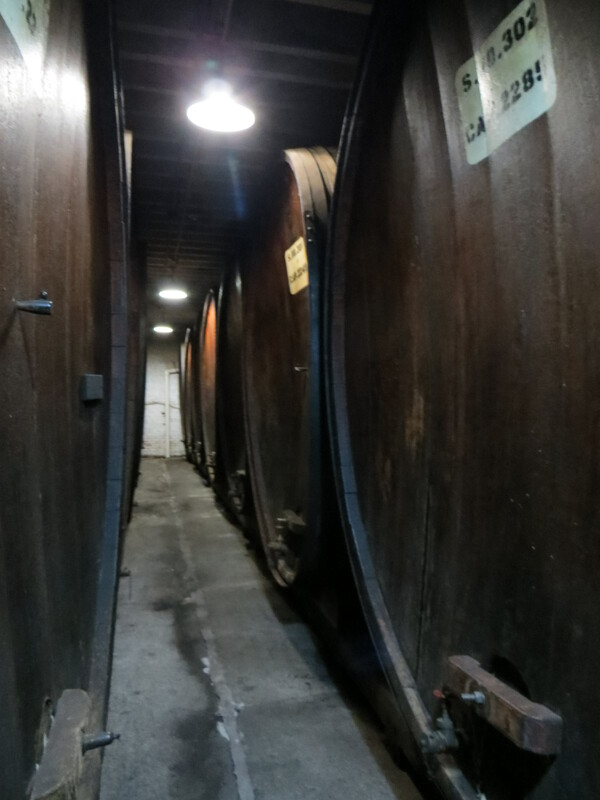 It was quite interesting, though limited to the historical part of the winery (we didn’t get to see the current operation). 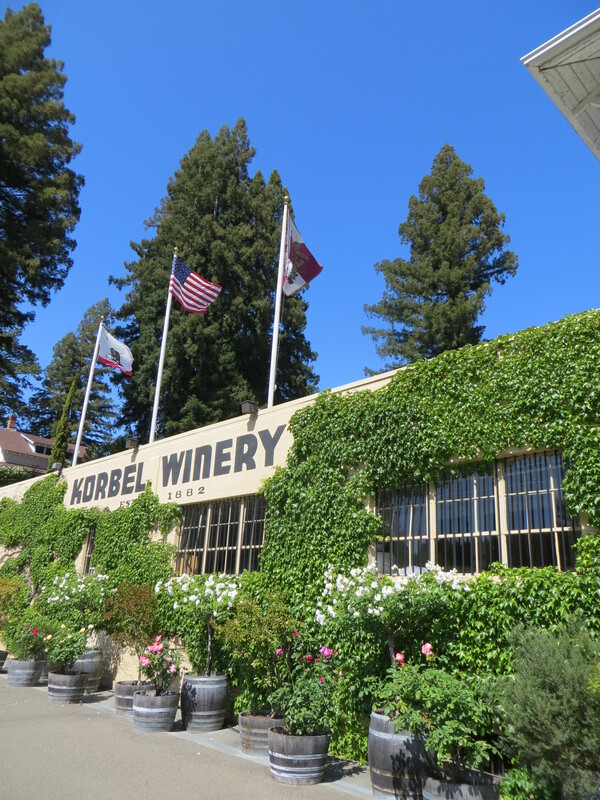 To read the complete history of Korbel check out their website here. 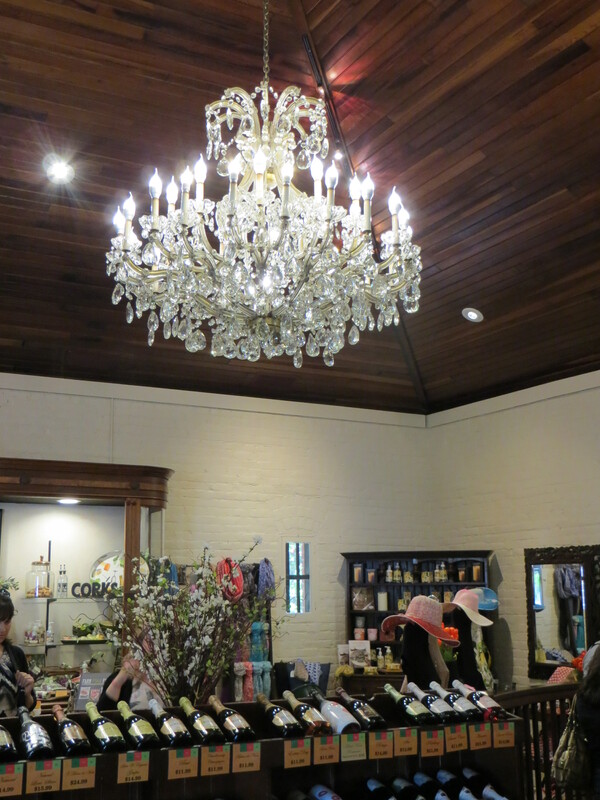 I love wineries. That cool, musty, wine-y smell. Curls my toes a bit. I’ve referred to the bubbly we get in the US as sparkling wine (the correct term) for years. Champagne is a title reserved for sparkling wine produced from grapes grown in the Champagne region of France. Why, then, can Korbel call their product Champagne? 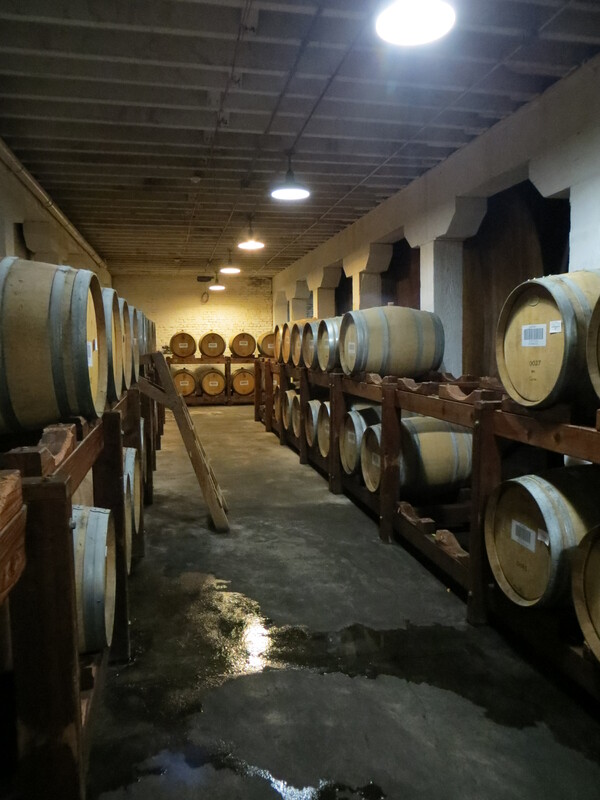 Do you know that Korbel also produces brandy? I didn’t. They don’t distribute it, so you won’t see it in your local grocery or liquor store. We bought a few little bottles to sample the product and, as far as brandy goes, it was pretty tasty. It should be noted that I am not a connoisseur, so take my opinion with a grain of salt. You can still see the old brandy tower on the property, though it’s no longer in use. Sorry, I didn’t get a picture of it. Korbel was around both before and after prohibition. When President Roosevelt repealed prohibition Korbel shipped two cases of Sec (which was the first champagne they produced beginning in the 1890’s) to him in celebration. 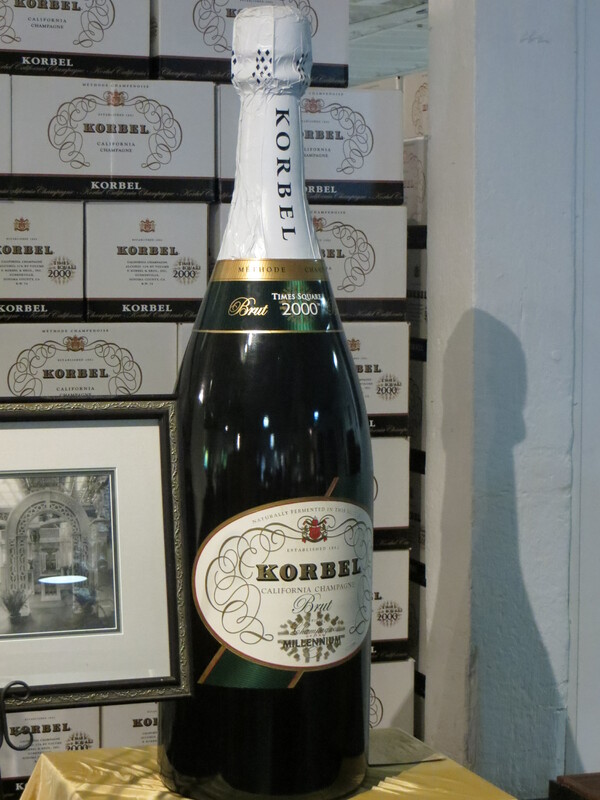 Korbel has continued to be a part of presidential celebrations and has created special champagnes in honor of a number of presidential inaugurations, including that of President Obama. 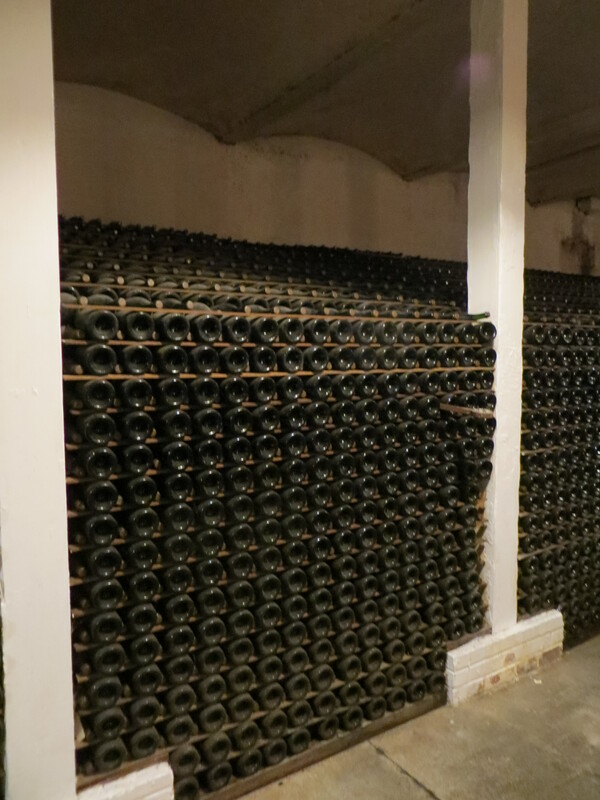 Above is the largest champagne bottle, holding over 31 gallons. How’d you like to pop that one open? After touring we headed to the outdoor patio for tasting. When it comes to champagne I prefer mine to be a little on the sweeter side. I really enjoyed the Sec, Riesling and Sweet Rose. Though I even found the Blanc de Noirs and Natural, both a bit drier, to be tasty. After the tour we went inside to the actual tasting room. We may have tried a couple of more champagnes (they make wine, too, though I did not try it). Then got down to the serious business of buying. I purchased two bottles to share at the house, and bought two other bottles to bring home. 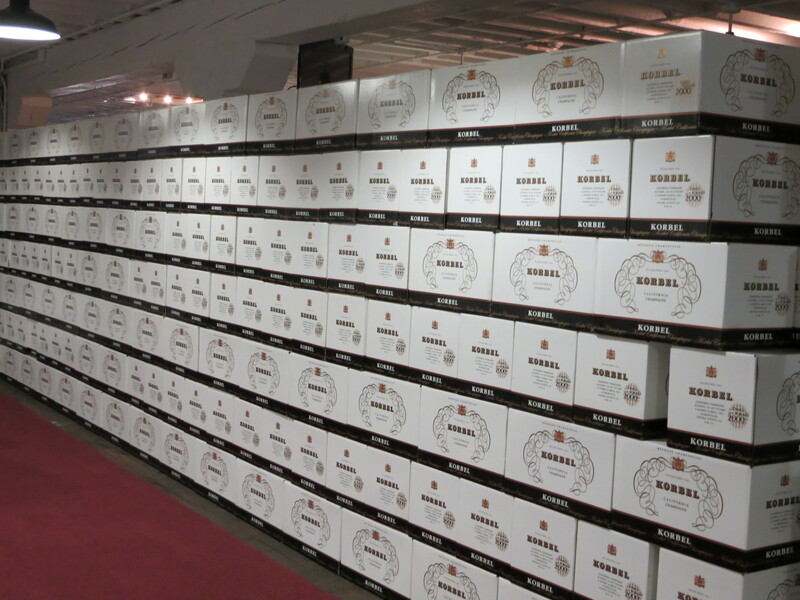 While many of their champagne’s are readily available in your local supermarket there are a few that can only be purchased directly from Korbel. Sec and the sparkling Riesling are two of those with limited distribution, so that’s what I lugged home. Back at the house I popped open a bottle (gently, don’t spill!) and enjoyed the afternoon. Good drink, good company. Can’t get much better than that.